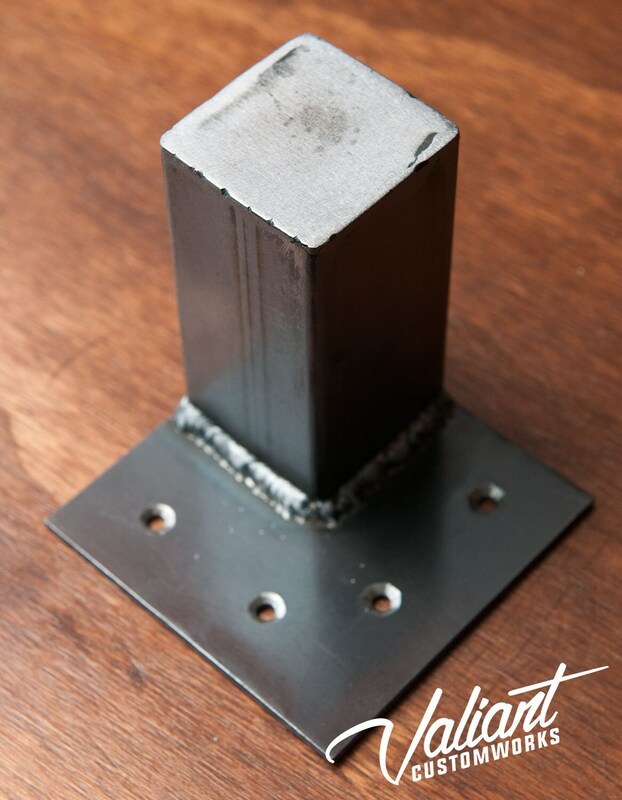 Steel couch, chair or low table legs - industrial chic - per set (4) - 4" to 20"
This is for 1 set of mini steel legs - available from 4" up to 20" - they are made of 2" square tube with one end capped and a 4" x 4" flat bracket welded to the top for mounting. 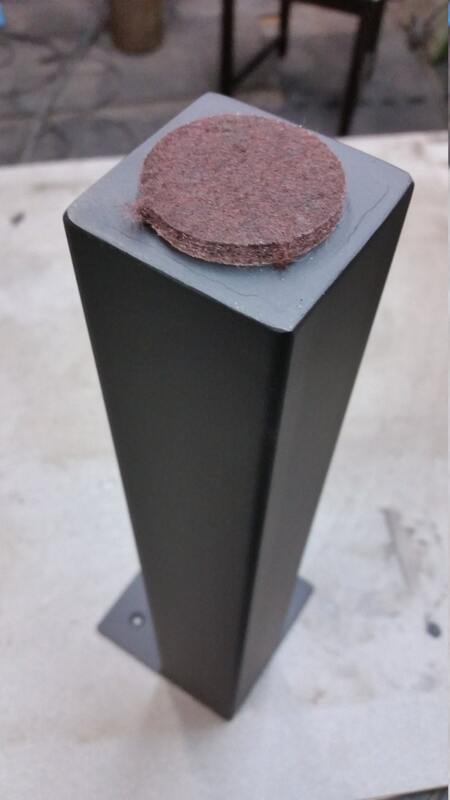 They are available flush to the edge or centered depending on your application. ** please make note when purchasing - flush to corner will be assumed. Ends are capped with plastic inserts. After I cut the pieces to length I set them up on our fixture table and weld, smoothing any external welds. Then, I coat them with a high quality sealer to make sure they will look just as good for years to come. 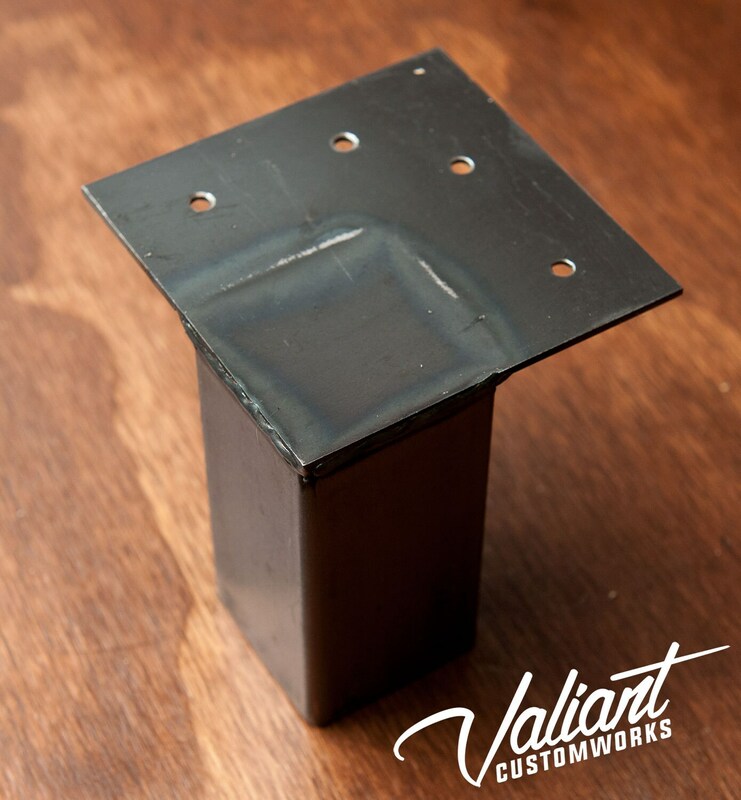 ** Pictured is a raw finish without weld smoothing. Once an order is commissioned and started it cannot be refunded as these legs are made to order to your size specifications. 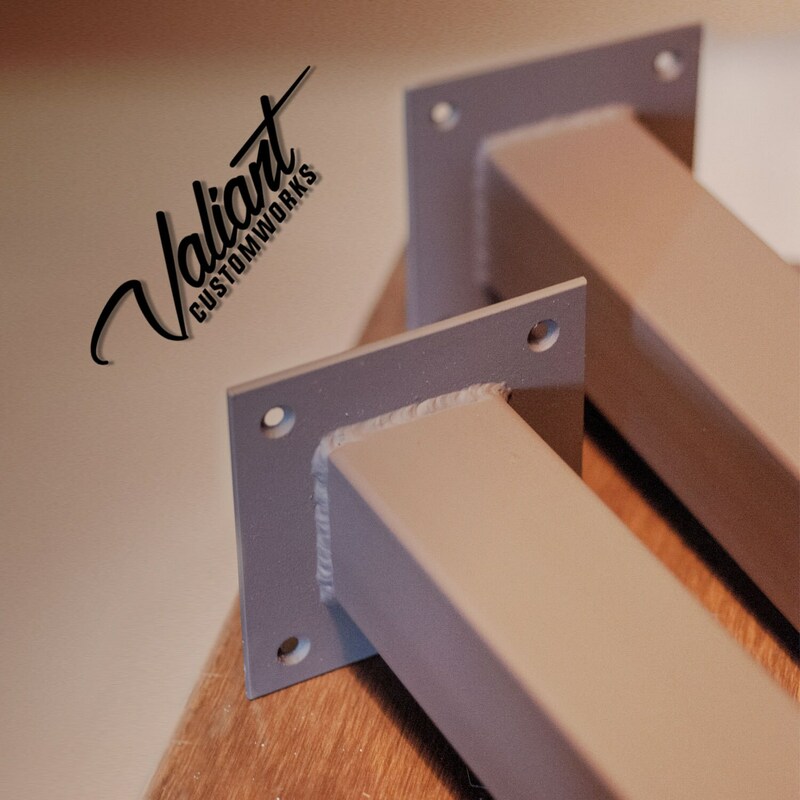 These can be left raw, or painted to your liking - If you're not sure about something please ask before ordering anything, you being part of the design process and ending up with exactly what you envisioned is our primary goal. As these are made to order - depending on shop load these may take up to a week lead time. 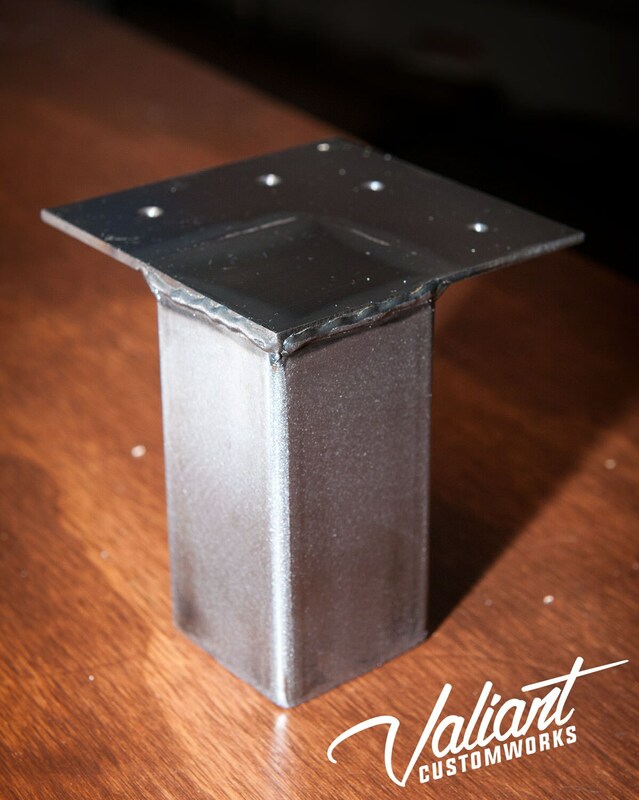 **Photos shown are of an unfinished (sealed, unground welds) 4" leg welded flush to the corner. Beautifully made. They worked out just as I had imagined! Chris is great to deal with. A fabulous find! Thanks so much Chris. We're just putting the finishing touches on the table top this weekend and then will attach the glorious legs. You do great stuff at a nice price! Really appreciate the fast delivery and quality. I will have more slabs coming out of our shop so, more orders coming soon!